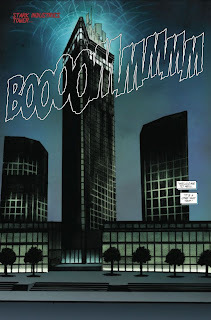 The final issue of the Marvel-Knights mini-series set in a slightly different continuity. It's not very good. This mini-series started out pretty strong, building up to a big reveal where Tony Stark had become more machine than man (which he pretty much has in the main Marvel Universe, but whatever works) and a CPU has taken over his body and is trying to make everyone else in the building a computer-entity. That makes things sound much more interesting than they are, with even four issues feeling like it dragged the story out. 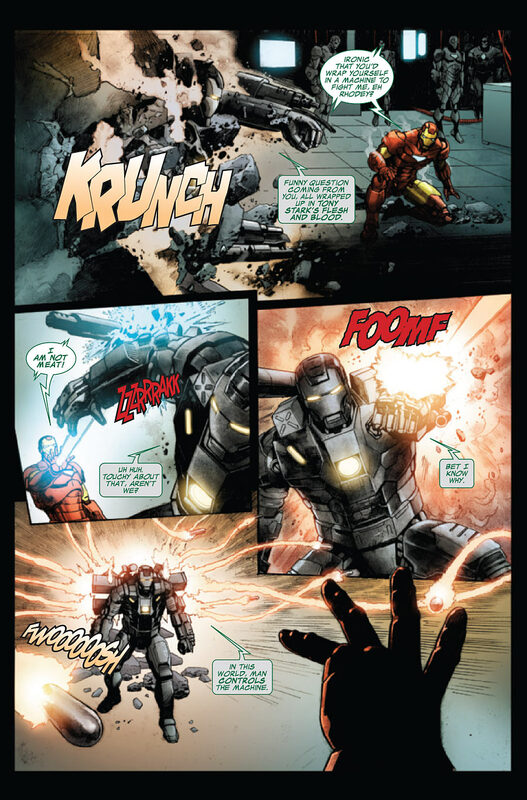 I think this is a universe where the Iron Man outfit and War Machine outfit existed, but other heroes don't, things are really unclear and confusing. 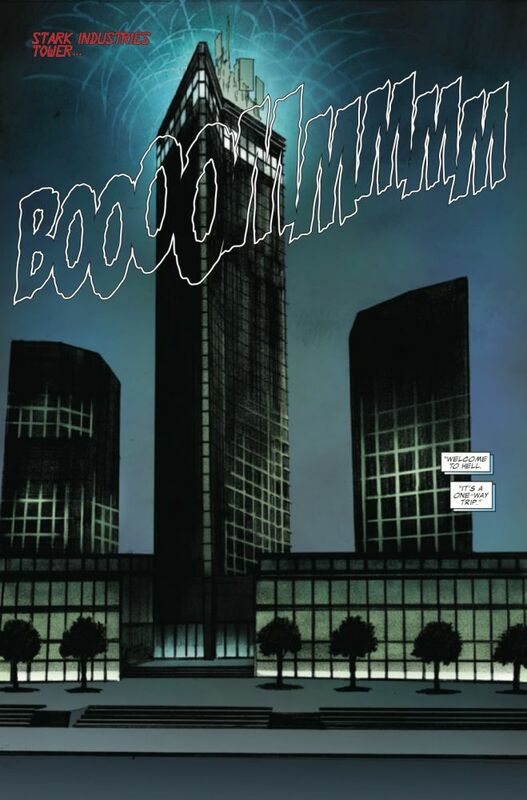 For instance, a big reveal at the end of one issue turns out to be more symbolic of a computer-program or something in the next issue. My focus is on this issue itself though, and how was it viewed on its own merits? Still not very good. 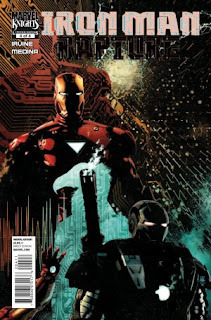 This issue has Pepper Potts working with James Rhodes and a fellow named Mike to try and fight the evil AI that has taken control of Tony's body and employees at his office building. Also, there is some ham-fisted philosophizing about how it is better to be human than a soulless machine because, "Being able to die? That's worth dying for." Yeah, that is an actual line of dialogue. Also, some kind of virtual-vulture fights Pepper Potts in a computer-world. Now, I think of myself as someone who is able to grasp plots and whatnot. I've read books that are a bit complicated such as, "Great Expecations," so it can't just be that I'm an idiot for being unable to figure out what the hell is going on in this comic with the aforementioned vulture and computer-code in Pepper's bloodsteam or other stuff that left me scratching my head. The art is decent enough, and shows action pretty well even if I thought everything seemed to be colored-in a bit dark--so at least that worked for the story. I guess the point of this alternate-continuity series was to show the danger of Tony Stark becoming too much of a machine, but couldn't that have been accomplished in a single "What-If" comic instead of decompressed over four issues that cost $3.99 each (really not worth the price)? Not to insult the people who worked on this, but the whole enterprise seems to have resulted in a completely disposable piece of entertainment that maybe would have been enjoyable as a single $2.99 or even $3.99 issue, but can be completely ignored as another good idea with poor execution.